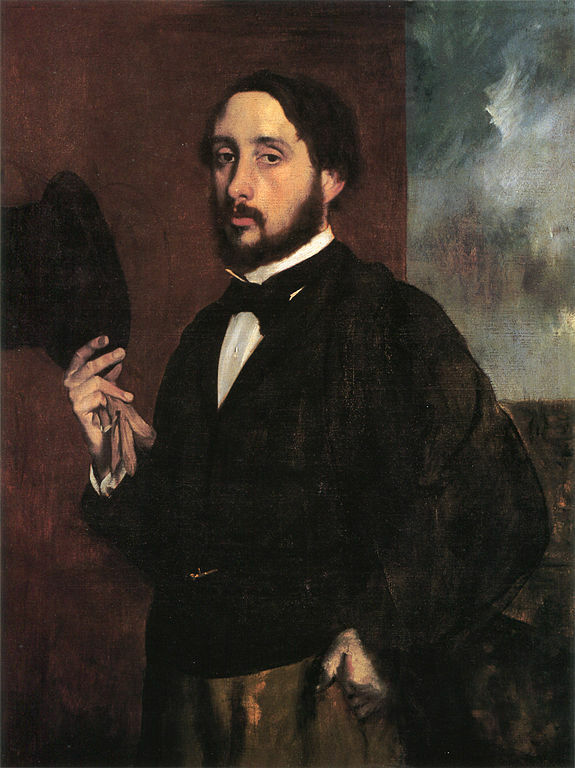 One of Degas' only works presented this year in Maastricht. The story of this study for Les Cueilleurs de pommes (Read the notice of the work) is worth a stop today. This is a study for Degas's only terracotta bas-relief, which unfortunately has disappeared, but which the Metropolitan Museum in New York still has a bronze print. Degas performs this bas-relief on summer holidays with friends in 1881. Several preparatory drawings are kept at the Bibliothèque nationale de France. This work, apart from its relatively large dimensions, imposes itself by its graphic charcoal supported but still - and we would say almost especially - by its pastel highlights that play a major role in its aesthetic balance. The pastel bypasses the girl sitting, legs slightly hanging and fills spaces that could have remained empty. Degas was not mistaken because the large format left obvious the need to fill the spaces. 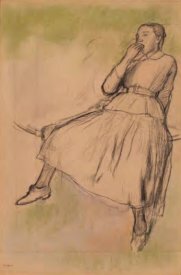 This suggests that Degas had, from the outset, conceived and thought his subject and his layout. 58,4 x 39,4 cm - 23 x 15 1/2 in. Auction stamp lower left, II, n° 279.